View on Harrow, originally uploaded by Rienk Mebius. I picked up this picture on Flickr. 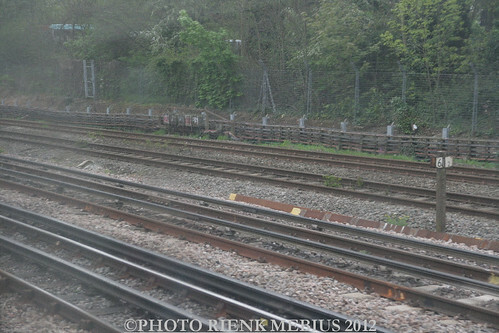 The far tracks are the lines out of Marylebone. They are not electrified and there are no plans for electrification on this route, which runs only as far as Aylesbury. At one time it was part of the Great Central and trains ran to Rugby, Leicester, Nottingham, Sheffield and Manchester. 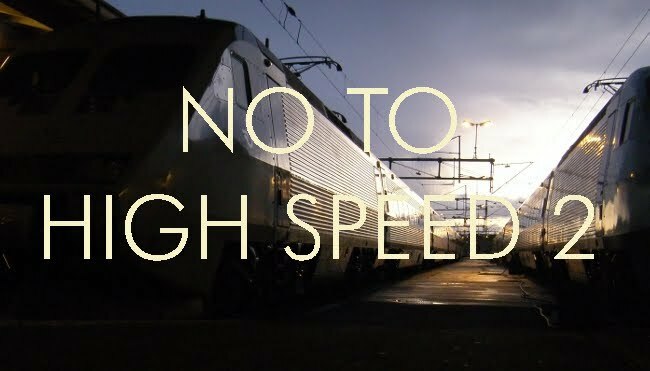 The route beyond Aylesbury is largely intact and could be reinstated at relatively little cost as a conventional railway to provide the additional capacity that HS2 advocates insist can be provided only by constructing a high speed line. They assure everyone that it would cost just a teeny-weeny bit more. That sounds implausible. Harrow is electrified as it's a tube line. This then means that it is not able to be electrified (overhead) due to LU rules, so unless a new line was to be built to seperate the two routes (which isn't going to be cheap) the only other way to electrify the line would be to remove the LU services from the line (which isn't going to go down well). Either way it is not going to be a case of just extneding the existing line. Likewise, although repoening the Grand Central (GC) line would improve capacity over the Southern section, it could prove to be expensive to provide more capacity in the North. It is however possible that the GC line will be reinstated bit by bit over time, as the East West will extent the existing Aylesbury services to run north to Milton Keynes. The GC route is separate most of the way to Rickmansworth, then it appears to share with LUL services as far as Amersham. So the route could be run by dual voltage trains such as classes 319 or 378. Or the present LUL service could go to Watford and the line electrified all the way to Aylesbury, with the four-rail being abandoned beyond Rickmansworth. Or the new electrification all be on the 3-rd rail system which would need just a dead section for the changeover, as at Putney.